NEW YORK -- President Donald Trump was back in New York raising money for his 2020 re-election campaign and the Republican Party. 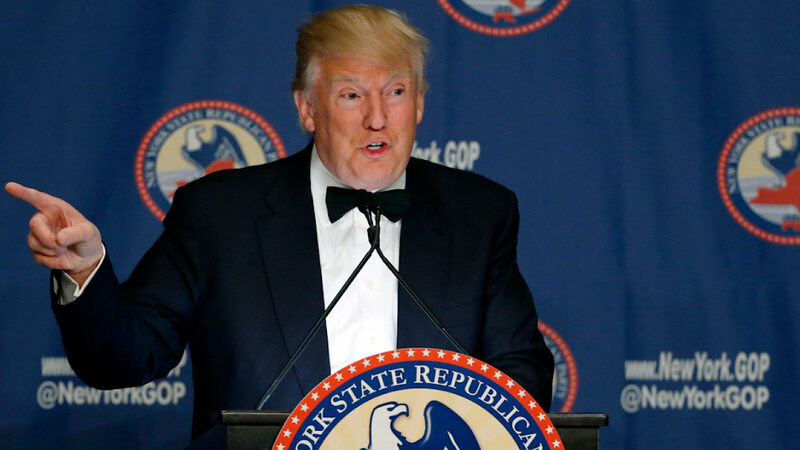 Trump headlined a fundraising dinner Tuesday evening at the upscale Le Cirque restaurant in Manhattan, which was expected to raise $5 million, said Republican National Committee spokeswoman Cassie Smedile. He also be participated in a smaller round-table discussion with couples who paid $250,000 each. About 150 people attended the larger dinner, for which tickets cost $35,000 per couple - or $100,000 per couple for VIP access. Reporters were not be allowed to hear the president's remarks to donors. Trump's brief trip back to Manhattan included a stop at the United Nations to meet with U.S. ambassador to the U.S., Nikki Haley, and other U.S. diplomatic officials. Trump spent the previous week in the city, attending events and meeting with world leaders as part of the annual United Nations General Assembly.